Wine quaffing while walking in the Adelaide Hills? Fleur Bainger dons her hiking boots and discovers that when you add native wilderness to the blend, it’s a perfect mix. I envy the people of Adelaide and their proximity to the good life. I really do. Because I know how easily they can sate that deep craving for escape known to all city dwellers. Add a glass of wine to a getaway and you’ve got my idea of heaven. Sadly, such whims stay firmly in the fantasy basket for most of us. The reality is spending an eon in traffic and freeway hell, arriving at rural bliss with stiff car legs and no hope of a cellar door being open. Not for Adelaide folk. In just 20 minutes they can reach utopia in the Adelaide Hills, which are flecked with wineries the way a Monopoly board is dotted with little hotels. They can live the dream. Lucky sods. When a friend raves about Sinclair’s Gully, the region’s only Ecotourism Australia-certified winery, I decide to act like an Adelaidian and head out of town. Rapidly emerging from the South Australian capital, I turn onto a thin road that clutches rounded hills, wiggling through rows of fruit trees and neat market gardens. I pop out of the Tuscan landscape at Norton Summit, a precarious crossroad harbouring a quaint 1870s inn that reminds me of a plump, bespectacled old lady knitting by the fire. Warned about getting lost on the way to Sinclair’s Gully, I check the map I printed from its website and continue past stone cottages with rusted bullnose verandahs. Spying a dirt track flanked with wine barrels, I know I’ve arrived. Sinclair’s Gully butts up against Morialta Conservation Park, and comprises 10 hectares of rehabilitated bushland that embrace its natural surrounds. Nature is the prime focus here. That and the plonk, of course. “Quick, get a wine glass,” is one of the first things owner Sue Delaney says to me. “Sure,” I say, thinking that this is my kinda place. But rather than trying to get me sozzled in record time, she’s equipping me for the wildflower-and-wine walk her husband Sean has just begun. Now I’ve always been a fan of bushwalking but, if I’m honest, the concept of bushwalking with a glass in hand is what really reeled me in. I suspect Sean has wised up to that, given the way he swings the cool-pack of wine out of view as he points out the conservation work he and Sue have done since 1997. Pushing on, we wine-walkers hear that the nature-loving couple bought the property with environmental restoration in mind. Their success is clear not only from the swag of Landcare and ecotourism awards they’ve bagged, but from the vitality of the bush. “There are 600,000 plants per hectare in the area,” says Sean. “And there are 144 different plant species represented, not including the six tree species.” Add to that 66 bird species and an endangered candlebark woodland and there’s a fairly compelling argument for looking after the place. The vineyard came later; growing grapes was a method of keeping weeds back and a gutsy change from Sue and Sean’s office jobs. Over time, the pair stopped using chemicals and embraced biodynamic practices. They later gained ECO Certification for their cellar door. Part way up a scrubby hill, we stop for some sustenance: Sinclair’s Gully Rubida sparkling. This is more like it: I was getting thirsty. From this point on, dainty wildflowers peer out from beneath the scrub and Sean gets us studying each one. The land plateaus and the stops become more frequent, with Sean’s homegrown sauvignon blanc and chardonnay topping up our glasses as he reveals the fascinating roles of native understorey plants. Happy to field questions and adept at providing answers, Sean has me appreciating the Hills environment so much more than when I arrived. What seemed like common scrub has been revealed as intricate layers of a delicate ecosystem that supports so many forms of life, all unquestionably precious. Walking back down the rise, Sean points out our next stop through the smooth, white fingers of the candlestick trees: the cellar door. We happily troop past the single-hectare vineyard to a weathered wooden table where we sip pinot noir and cabernet sauvignon. Rather than ending the tour and disappearing out the back, Sean stays to talk without a hint of imposition. Sue pulls out a chair around the table and is so exuberant and chatty that you feel like you’re kicking back with old friends who really value your company. From the natural surrounds to the sweet cellar door, everything is refreshingly simple and honest, and there’s no question that the tour is extremely good value for money. Had I not been driving, I may well have settled in for sunset. You’re barely out of the city but it feels like a remote country getaway, complete with gracious yet gregarious hosts, fantastic wine and a bush walk that will more than pique your interest in Australia’s native environment. A top way to while away a Sunday afternoon. 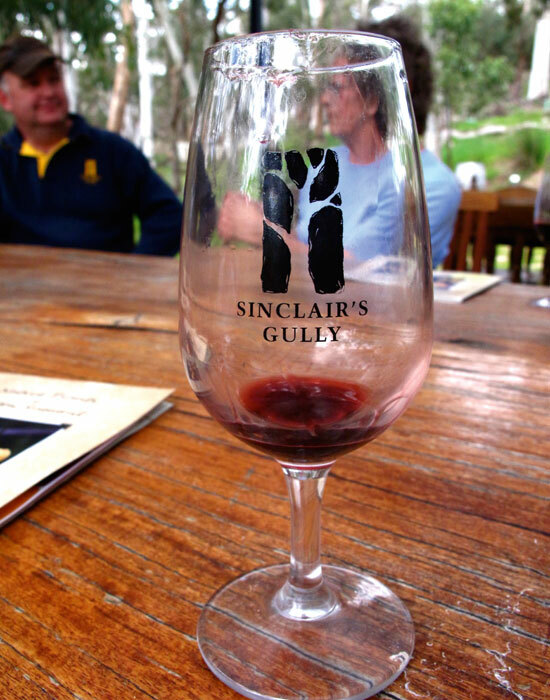 Where Sinclair’s Gully Wines, Colonial Drive, Norton Summit. The website has a good map showing you how to get there. 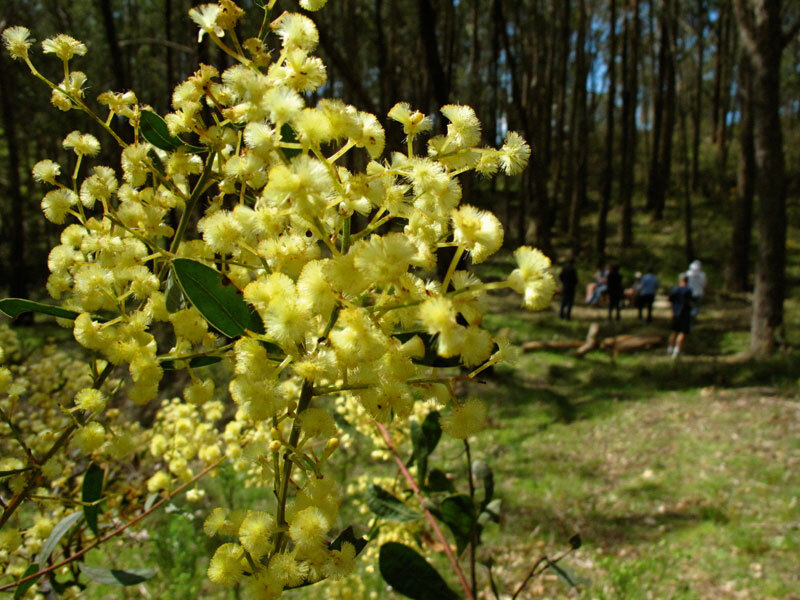 Notes Wildflower Walks run at 2pm every Saturday and Sunday in October and cost $15 per person. 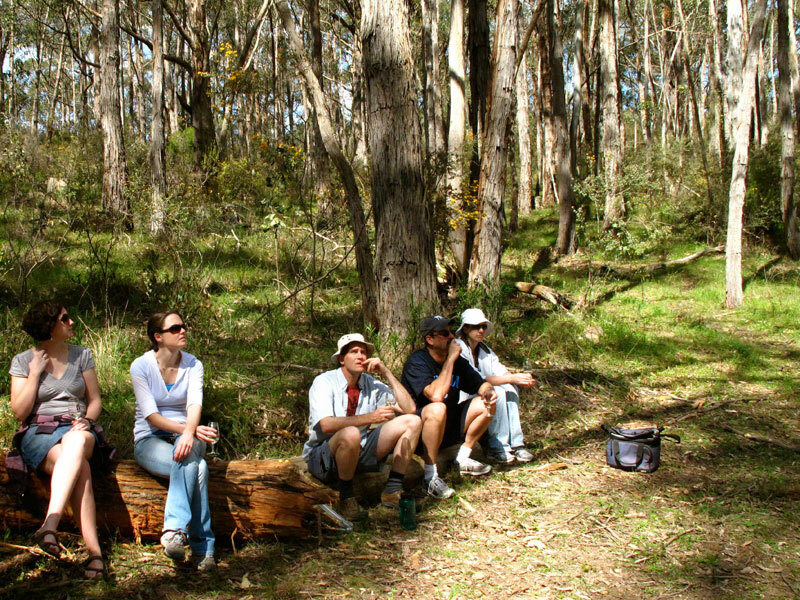 Bush and nature walks are offered year round for $15 per person, group bookings only. There are also Wine, Wallabies and Bonfire evenings on Fridays 5pm-8pm in May, September and November. Summer Twilight Tastings are available January to March on Fridays, 5pm-9pm. Bookings recommended. Hours: Saturday, Sunday and public holidays noon-4pm. Otherwise by appointment, 10am-4pm.